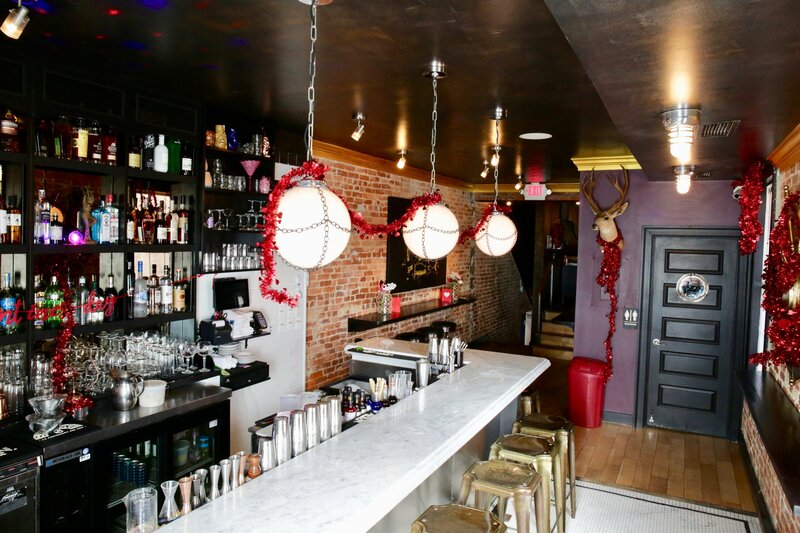 The former Petworth cocktail bar relocates with a new menu. You can have your oysters and drink them too at Hank’s Cocktail Bar, which opens today above the flagship Hank’s Oyster Bar in Dupont Circle. The snug, 24-seat cocktail haunt relocated from Petworth, where it closed in December. The revamped watering hole, helmed by head bartender Hunter Douglas, utilizes plenty of sweet, savory, and herbaceous cooking ingredients in its cocktails (though yes, you can still get something deliciously basic like frosé). The second-floor space, previously private dining, was refashioned for the cocktail bar. 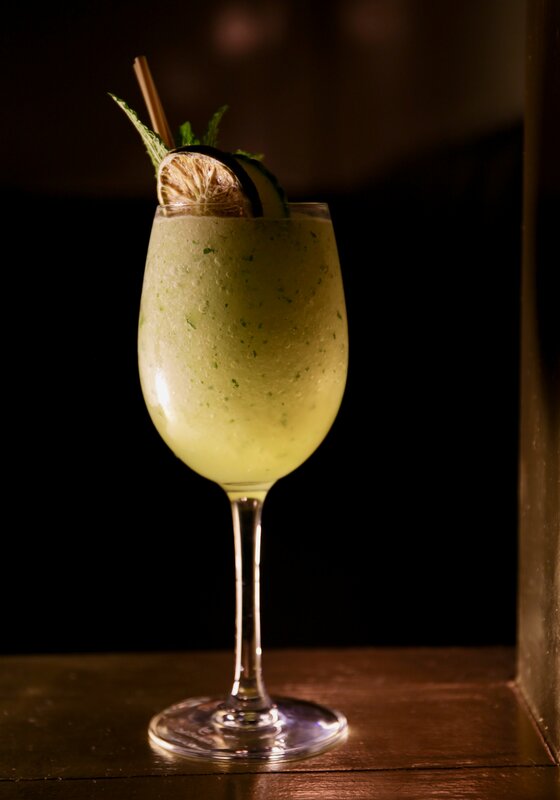 Douglas makes a fresh celery shrub for an invigorating gin drink; steeps coffee, tea, and citrus scraps for a riff on milk punch; and plays homage to a spicy Thai salad with peanut-infused gin, cucumber, chili, and herbs. Oyster lovers should try “She Who Lives in a Shell,” a spin on a gin martini with Plymouth, dried seaweed, Ostervit (Virginia-made oyster aquavit), and vermouth that’s steeped with Hank’s oyster shells for a “dry minerality,” according to Douglas. The drink is garnished with a fresh-shucked Salty Wolf bivalve. The full Hank’s raw bar and dinner menu is available in the upstairs space, along with an exclusive bar menu with drink-friendly eats like Eastern Shore crab dip, Old Bay fries and dipping sauces, steak frites, and hot dogs served in buttery New England-style buns. A refreshing zero-proof cocktail, Running Through Grandma’s Garden, with citrus, cucumber, and mint. Not every libation requires drinking your dinner. Douglas’ lineup of 40-odd concoctions includes beer-tails, “remixes” (riffs on classics), large-format cocktails for groups, and a whole section devoted to new-fangled old-fashioneds. Since Hank’s doesn’t serve dessert save for free hunks of dark chocolate, Douglas create sweet options for after-dinner like a bourbon “New Fashioned” with mole bitters and a s’mores garnish. 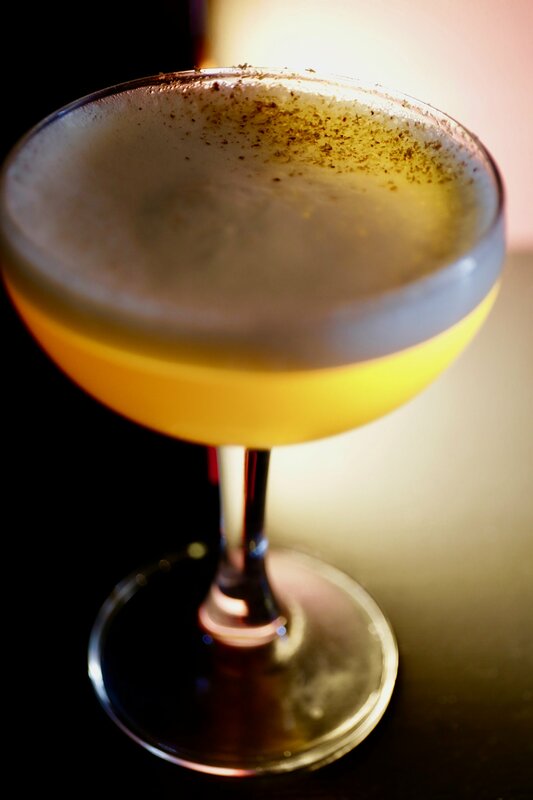 The Revisionist History cocktail utilizes kitchen ingredients like black tea, coffee, clarified milk, and citrus along with rum. Once warm weather hits, you’ll find a new rear terrace off the second-floor bar outfitted with 14-odd seats. Owner Jamie Leeds says one reason for relocating the cocktail bar was to breathe new life into the 13 year-old restaurant. Her flagship is now joined by locations on Capitol Hill, Alexandria, and the Wharf. Hank’s Cocktail Bar. 1624 Q St., NW (second floor). Open Tuesday through Thursday and Sunday, 4 PM to 1 AM; Friday and Saturday, 4 PM to 2 AM. Happy hour Tuesday through Friday, 4 PM to 7 PM.